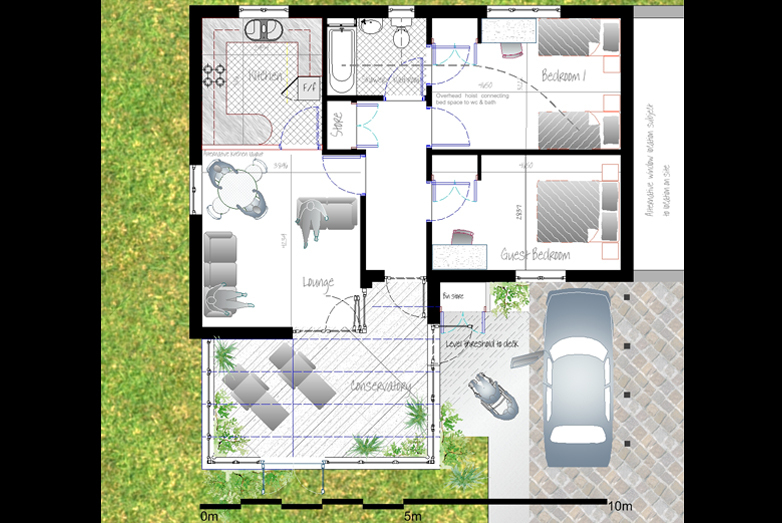 Gross internal floor area: 3000sq.m. 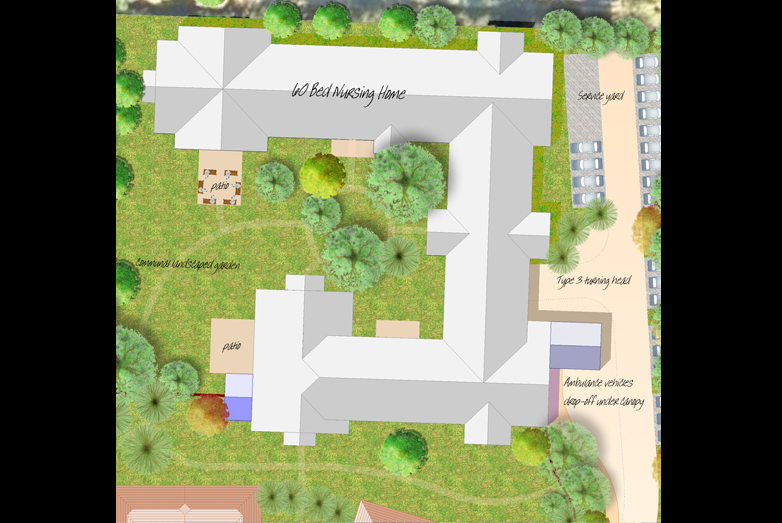 A 60 bed care home for frail elderly people in the later stages dementia who cannot be cared for at home any longer. 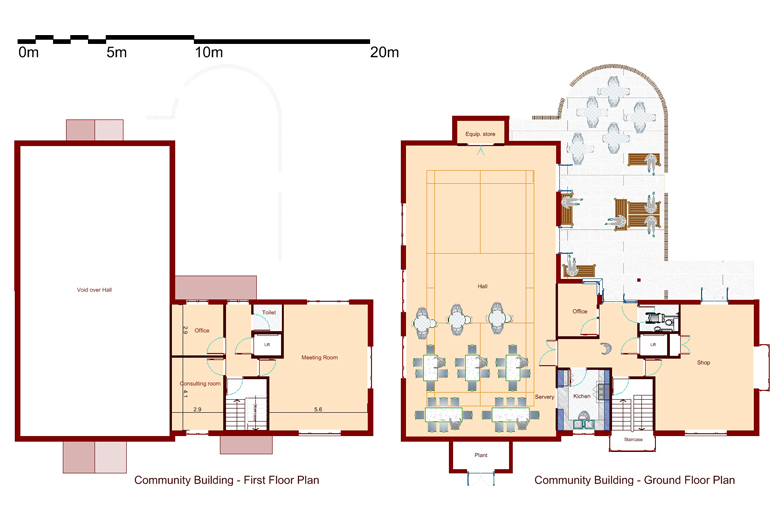 The development also includes a doctors surgery linked to care home providing for up to four general practitioners and visiting complimentary therapies. 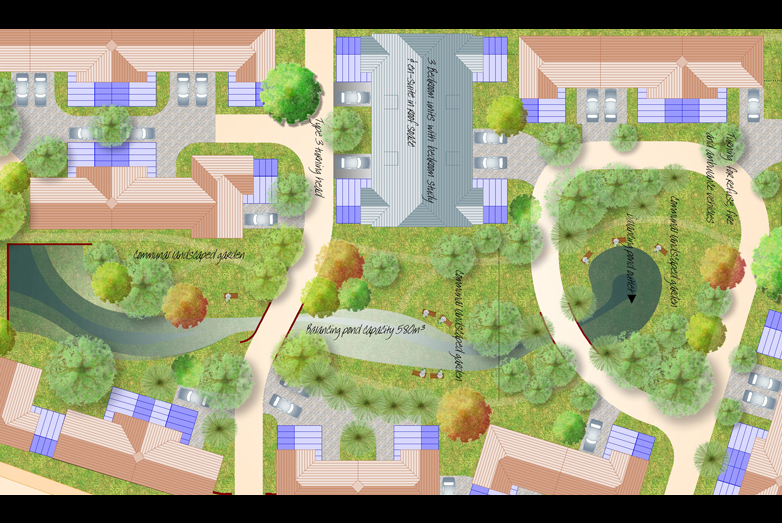 The building is arranged around an secure open courtyard garden onto which the communal spaces open out. 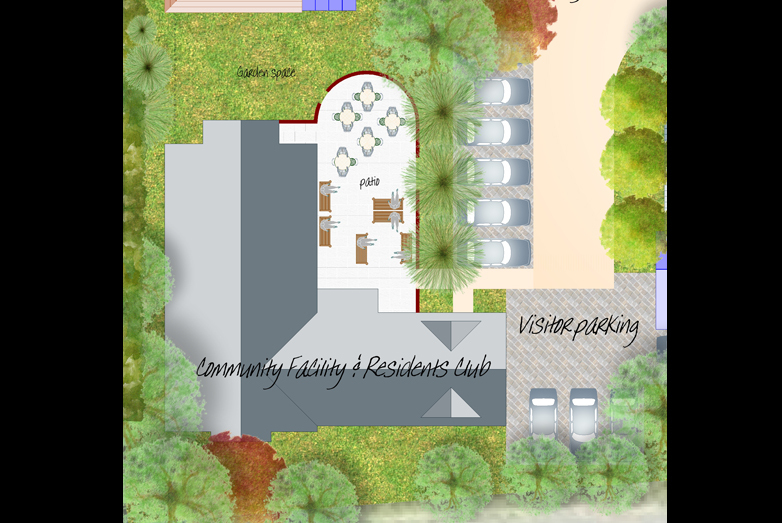 The care home is located to the back of the site, primarily because it generates little vehicular movement, the residents require greater privacy and quiet than the doctors surgery and in order to reduce its impact when seen from either Mill Lane or Steeple Road. 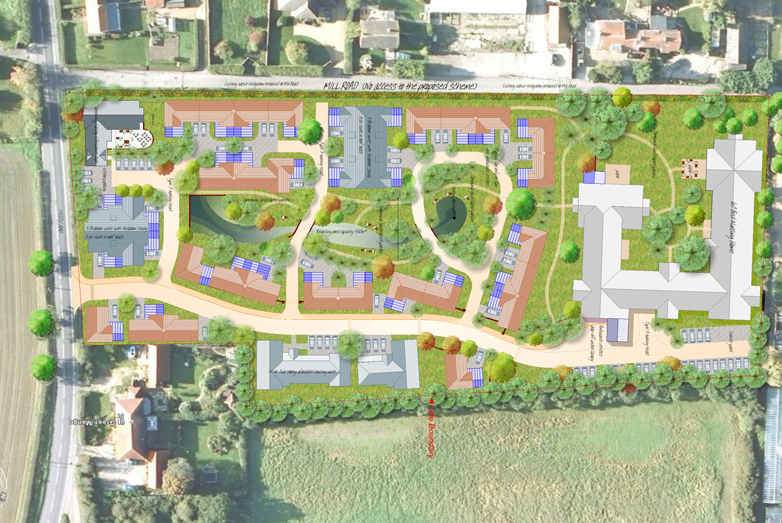 The care home is carefully planned with the smallest and quieter element of the building facing Mill Lane in order to minimise the buildings impact on the residents living in Mill Lane. The well established and dense hedgerow also helps to obscure views, from the first floor of the two storey houses in Mill Lane. The service areas, parking areas, access drive and staff administrator areas are on the opposite side of the site. The Doctor's surgery is set back from Steeple Road because of the bus stop providing convenient access to the surgery patients who live in the locality.